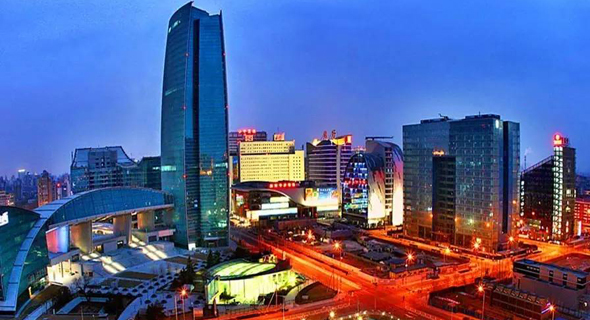 Watteam is one of five companies currently participating in an accelerator program for Israeli startups in Beijing. The six-month program was announced in November 2017 by the Israeli Ministry of Economy, in collaboration with Chinese coworking firm DayDayUp and ShengJing360, the global investment division of consulting and venture capital firm ShengJing Group. The program, which started in March, offers mentorship and advice on legal and regulatory issues related to the Chinese market. Boosted by governmental efforts on both sides, economic ties between China and the Israeli tech ecosystem have been strengthening in recent years. Names like Tencent and Baidu, once obscure references to almost all Israelis, are now familiar names in the local tech. Several Chinese-linked accelerators are also looking to tap Israeli innovation, including government-backed Chengdu-Israel Incubator, which launched an Israeli offshoot in November, and the city of Beijing, which in April announced the launch of an economic mission in Tel Aviv, to be run by the ShengJing Group. Hundreds of Chinese delegations come to Israel yearly, leading to an increased participation of Chinese companies in Israel-based venture funds, and to direct investment deals in Israeli startups. In May, Alibaba founder and Chairman Jack Ma visited Israel at the head of a large delegation, meeting with Israeli Prime Minister Benjamin Netanyahu, and local venture capital firms and tech entrepreneurs. In October 2017, the e-commerce giant announced plans to set up offices in Tel Aviv as part of a $15 billion global research and development push. Alibaba is also invested in several Israeli companies, and in the last quarter of 2017 it acquired the assets of Israel-based QR codes startup Visualead Ltd. The largest Chinese acquisition of an Israel-based or Israel-linked company to date is the $4.4 billion acquisition of social gaming company Playtika, then owned by Caesar’s Interactive, by a Chinese conglomerate in 2016. More and more Israeli companies are looking to break into the Chinese market, opening local branches and inking local partnerships. Often, however, they run into difficulties due to language, legal and cultural barriers. From an outsider’s point of view, it is often hard to understand nuances, explained Mr. Shubi, who arrived in Beijing in March. He recounted a marketing initiative he undertook, gifting Watteam-branded hats in greenish-turquoise to the employees of a Chinese partner. Immediately, he was told no one would wear them. In China, the expression “wearing a green hat” (戴绿帽子) means cuckold. Through the accelerator program, Watteam has already signed a first partnership with Blackbird, a Chinese company developing bicycle-related technology. But the business culture involved in the deal was very different from what startups working in the U.S. or Europe face. In his previous experiences, most of the negotiations centered around contract details, with both sides going over the fine print regarding the amount and timing of the payments, Mr. Shubi said. “Face to face meetings are less important, and in Australia we closed a large client without even meeting.” In China, however, he met with the CEO of Blackbird seven times before a contract was signed. Guanxi, the building of mutually beneficial relationships, is an important concept in Chinese culture. People in In China will invest in companies based on trust, because they are not necessarily familiar with the company’s financials, explained Helena Javitte, director of the innovation program at DayDayUp, who provides support to the startups participating in the accelerator program. Israelis are very direct, and they are “pushers,” Ms. Javitte said, they want everything to happen fast but building relationships takes time. Israelis like to flaunt technology, but most Chinese companies will prefer working with a local partner over an international one, making humility a needed requirement, she added. “The Chinese market is already very difficult, and a company not fully committed is just throwing money away. A critical success factor, in my opinion, is to relocate someone from senior management to China,” Mr. Gur said. Nimrod Elias, the CEO and Co-Founder of mobile app optimization TapReason Ltd., who is also taking part in the accelerator program, said he learned he needs to bring a local partner to every meeting. “At first, I tried to operate here alone,” he said. “Everyone was very nice and respectful, but in hindsight, I discovered I didn’t always meet with the right people in the company. That is information you will not necessarily find on LinkedIn.” Today he works with a Chinese partner who spent some time in Israel and knows Hebrew.